South Coast Athletico can announce that our original friendly with Bexhill Rovers has now been cancelled due to both clubs being drawn into the same league this season. 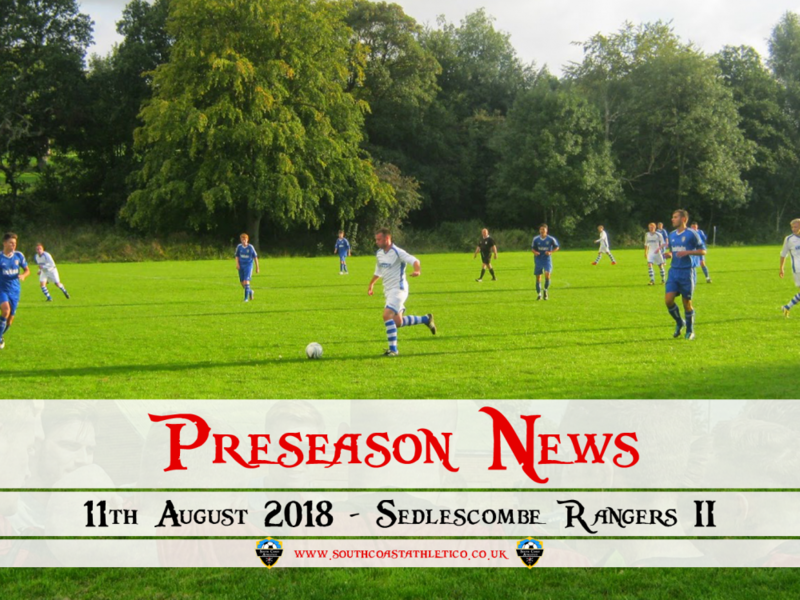 In their place, the club can confirm that we shall now be playing Sedlescombe Rangers II from the ESFL Division 2 on the 11th August 2018. The game will be played at the Chopbacks home ground, Bexhill College, with a kick-off time at 3pm.